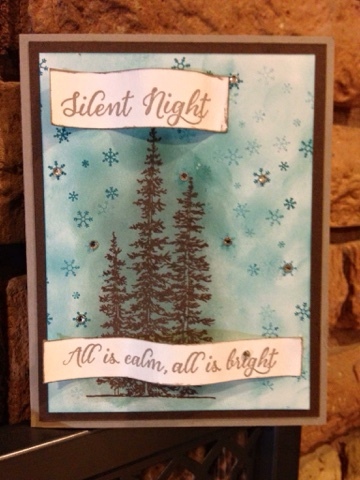 Silent Night is one of my very favorite Christmas carols. 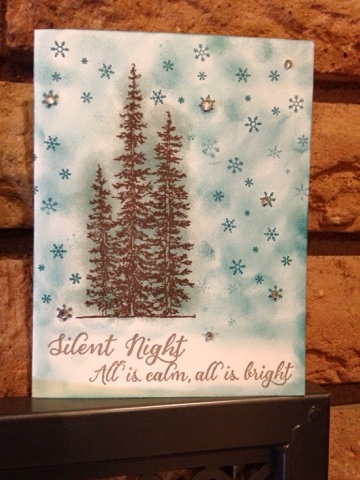 It is peaceful and contemplative which reflects what I love best about Christmas. I made these for a team color challenge and really enjoyed the effects of the sponging technique. I loved combining these colors into these creations. This is a more simplified version that I placed the sentiment in a soft, cloudy effect. Thank you for coming to see my cards. I so appreciate you encouragement and comments!